'THE BEST COUNTRY IN THE ENTIRE WORLD'! Patriotism does not limit to any anthem,flag or any symbol. For that matter not even a game, as the way cricket is projected among Indians! It is a state of mind ,acquired or natural as one is born and grown up in a country. When someone adapts another country for a living, one has to take an oath to be loyal to the constitution of that country. But I do not think that it makes one patriotic however the 'naturalized foreigner' tries! One can be loyal but not exactly patriotic! It comes more by birth than other factors. It is a sort of relationship one has with own mother... with mother country as well. Plus in case of Germans and few others where they call their own country as 'father land' and not mothers! As a nation is born, along with the flag ,an anthem is also selected as we all know. Generally such anthem reflects the past history and traditions of that country which is played at ceremonial occasions or at certain sporting events or stage performances. The earliest one- anyone can guess- is the British anthem,'God save the King/Queen' which came to existence since 1740. Probably it must be the mostly played anthem so far in the world. With a lot acquaintance with the British over the last three decades in work and business , I think they do not miss a chance to play the hymn anywhere in the world even today. Whenever a British business delegation visits Doha, British Embassy arranges a reception to to them along with a selective local business crowd . Generally it will be in the embassy premises or hotels.Once -could be in 1994- such a visit of British business reps coincided with the friendly visit of a British war ship to Qatar. The British authorities promptly arranged the customary reception of the visiting and local business men in that frigate which was docked at the Doha port. I still remember the pomp but appreciative way of reception there with playing 'God save the Queen' at the commencement where in most of the crowd was non British. They could mix their national pride with international business making us all salute or pay attention while the Union Jack was furled! I would say it was a smart thinking. Even Dr.Allama Iqbal who contributed this beautiful poem in 1905 in the context of undivided India (Hindustan) which eventually parted also as Pakistan and Bangladesh might not have thought about the popularity of this poem among Indians a century later as he became one of the creators of Pakistan after he penned down the poem. Mahatma Gandhi loved this song and used to repeatedly sing whenever he felt for it especially while in jails. Originally written in Urdu, I shall give below the official English translation. I love it for the contents and the way it is tuned -while as a student for the tune but later for the lyrics. This song did not make it for national anthem for obvious reasons but considered to be one of the most patriotic songs in Indian to this day. Yes, although other older contemporary civilizations- Greek, Egyptian, Roman- have gone out of the world ,Indian civilization remains intact very much to this day. Vande Mataram was the symbol of freedom among Indians under British rule. It is written by Bankim Chandra Chattopadhya in 1876 using a fusion of Bengali and Sanskrit words. Interestingly Chattopadhya was a district collector under British administration but expressed his strong sentiments writing down this poem against the British who were trying to popularize God save the Queen among the British subjects ! 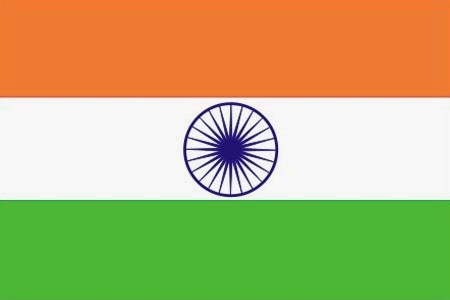 Vande Mataram ,although popular among the people and political leaders, has to be dropped from the race for national anthem since it personified India as a goddess which some Muslims and Sikhs objected thinking that it is offensive to their monotheistic beliefs. Most of the Christians do not object to this song I believe since I have witnessed playing this song by children in the church hall for national events. In spite the controversies this song remains very popular national song. At the stroke of midnight on August 14,1947, the day India got freedom officially, the historic session of the Indian Constituent Assembly opened with Vande Mataram and closed with Jana Gana Mana, which was later selected as national anthem.It is written by the famous Indian freedom fighter and nobel laureate Rabintranath Tagore in highly sanskritised Bengali. First it was introduced in public in 1911 . Tagore himself composed and tuned the poem. Bangladesh also opted for another Tagore poem- Amar Sonar Bangla- later as national anthem.